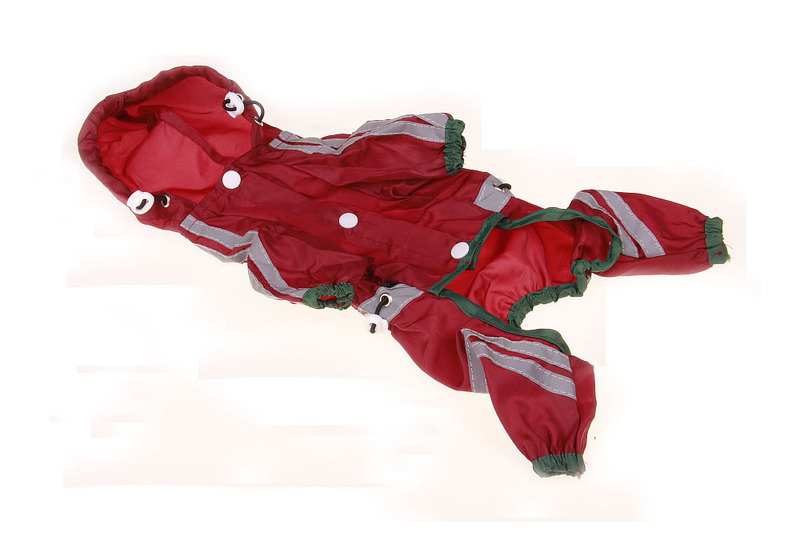 Get your dog ready for the elements with the Reflective Safety Dog Raincoat. 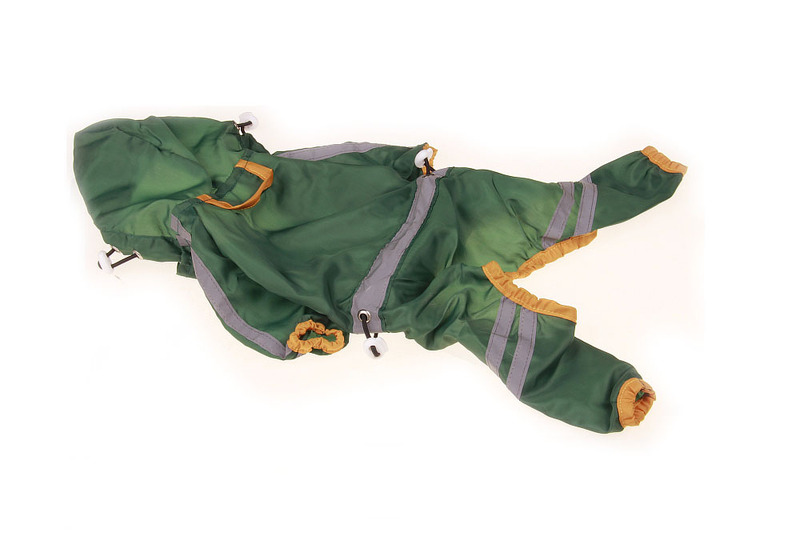 This raincoat features reflective tape for ultimate visibility. 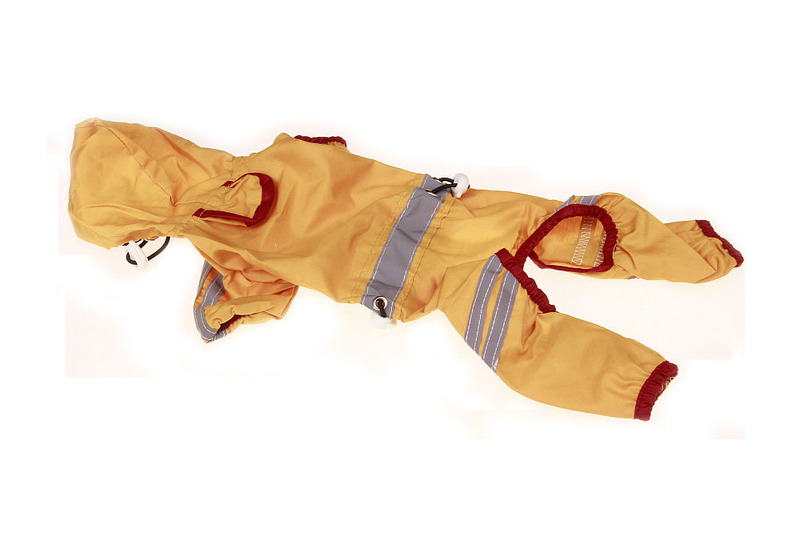 The adjustable drawstrings at the neck and belly ensure a secure fit to keep your pup dry. This coat easily provides an added layer of much needed warmth on cold, rainy days. Made from acrylon, this slicker is easily wiped clean when dirty and can be folded or hung for easy storing. Sporty hooded design. Reflective stripes on the back and legs help increase his visibility on dark, gloomy days for added safety. 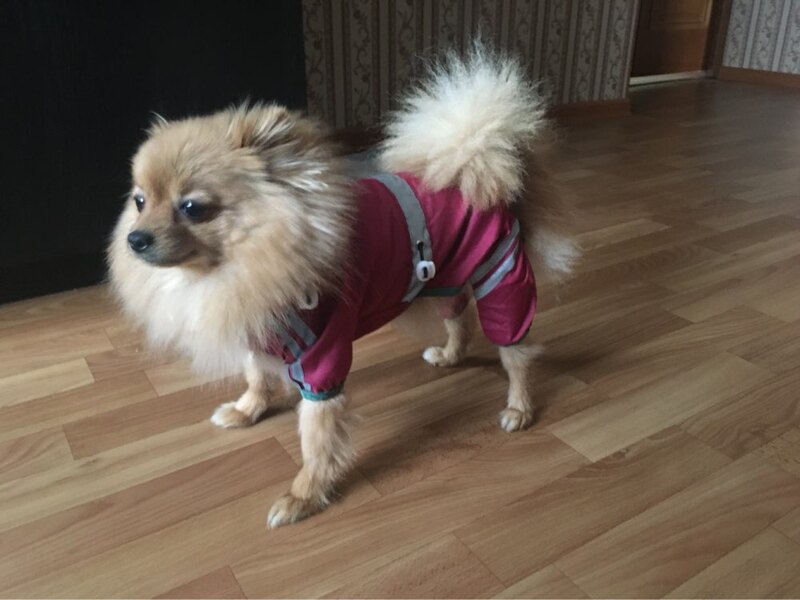 The bright colors ensures that your pup can be more easily seen during evening walks. 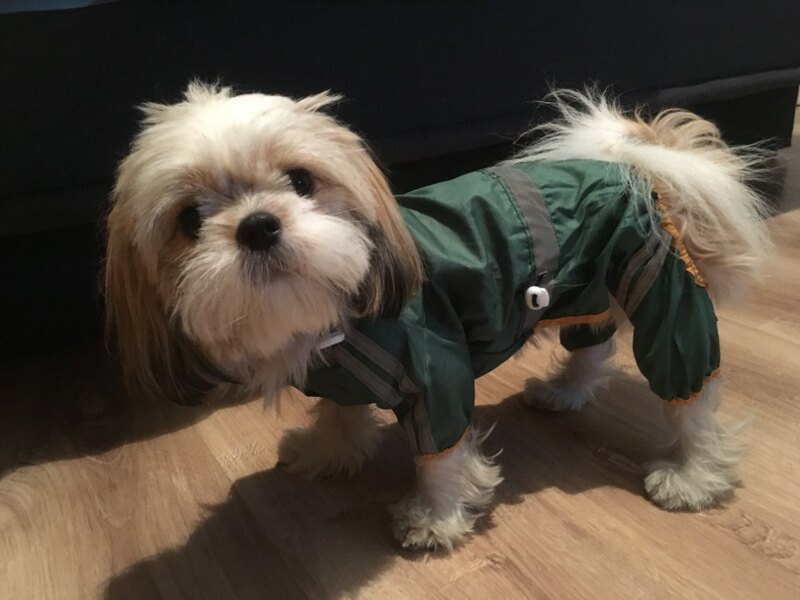 Adjustable drawstrings at the neck and belly ensure a secure fit to keep your pup dry when it’s wet outside. 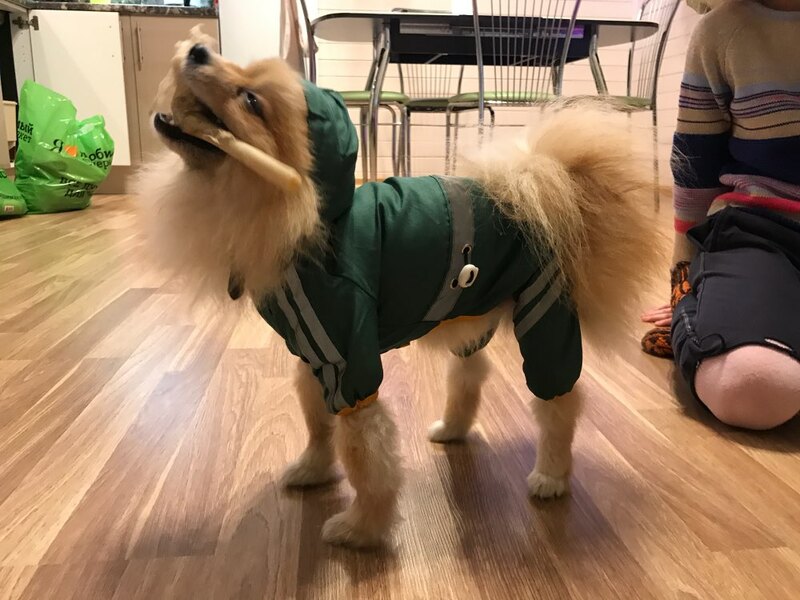 Keeps your dog dry and comfortable in rain or snow. 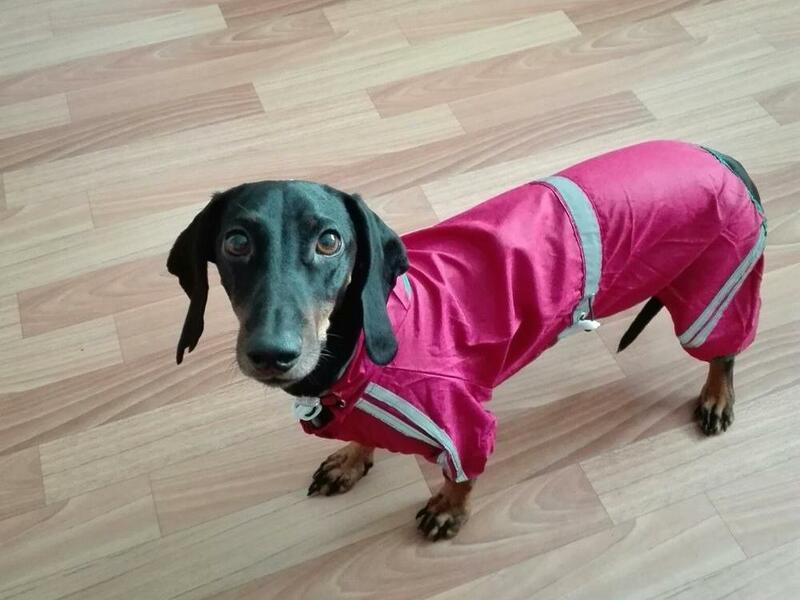 Waterproof shell keeps your dog dry and adds a much needed layer of warmth. Easy to clean. Made from acrylon, this slicker is easily wiped clean when dirty. Perfect for a pup on the go. 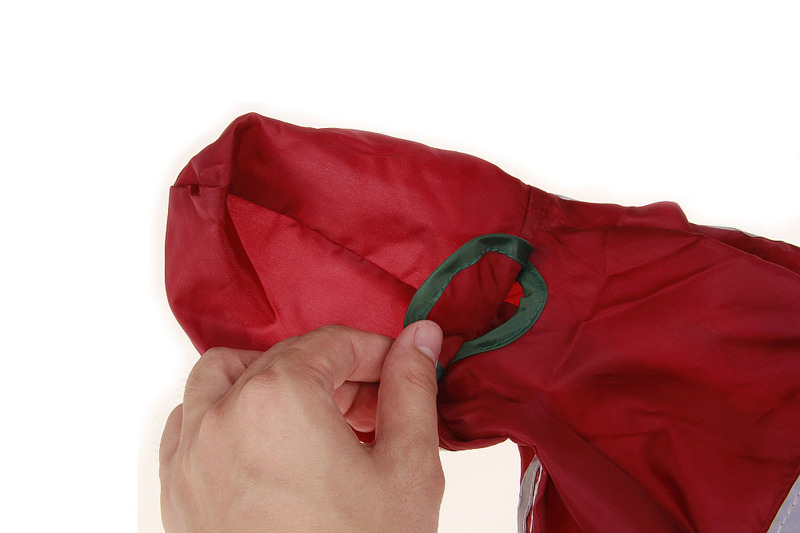 Travel-sized and can be folded up for easy on-the-go and then unfolded when needed.